Are you, or a familiy member Deaf or hard of hearing? 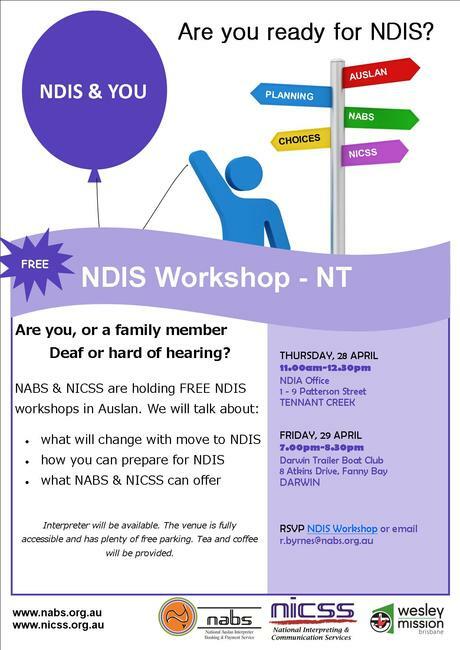 NABS & NICSS will be holding a two FREE NDIS workshops in the Northern Territory on 28 April (Tennant Creek) and 29 April (Darwin). The workshops will be in Auslan (interpreter will be available). Register to attend workshop here.